We believe in reigniting the beautiful & inspiring tradition of art within the Muslim community. A tradition that historically helped define Muslim civilization. But after colonization and the modern era is not pursued to it's full potential. 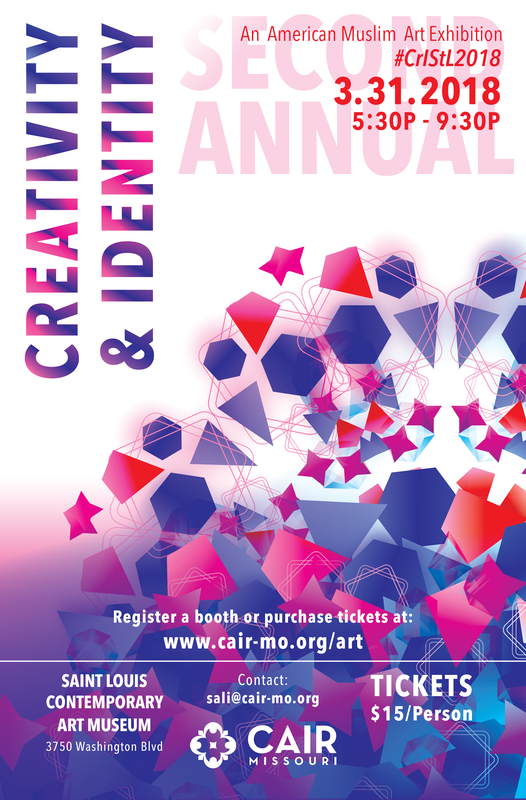 That's why CAIR-Missouri launched "Creativity & Identity" a 1-day Muslim Art Exhibition featuring local Muslim artists in St. Louis. If you are an aspiring Muslim artists and are looking for a platform to showcase your art then we want you to be a part of #CriSTL2018.Fill out the sign-up form below to be included in the art exhibition. Must be 16 or older to apply.